Lisa is a native of Michigan and grew up in Allen Park. She graduated in 2000 from the Dental Hygiene program at Wayne County Community College District. 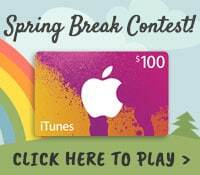 She lives in Brownstown, Michigan, with her husband Ron and their two children Kayla and Madison. “My mom was a dental assistant, which is why I went into the dental field. I was also a dental assistant for three years prior to going into the dental hygiene program. 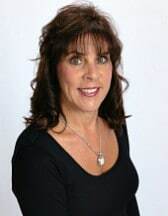 I have always loved to make people laugh and smile, so this field was a perfect fit.” Lisa has been a perfect fit in our office since she joined us in 2003. One of Lisa’s favorite holidays is Halloween. She and her husband actually got married on Halloween in 2001, in Wonder Woman and Superman Costumes, respectively. 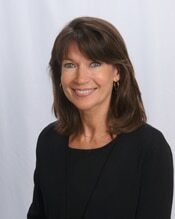 Lisa also enjoys camping and participating in sports, horseback riding and Girl Scouts with her children. By the way, check-out Lisa’s smile; compliments of the braces she wore from our office. It won’t be long before her girls also become part of our orthodontic family of patients. Then they, too, will see their mom at work; perhaps perpetuating the dental career started by Lisa’s mom so long ago. In her free time, Julie loves spending time with her boys, Josh and Aidan. 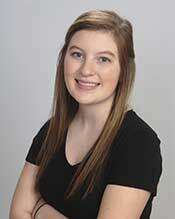 “If I am not at a sporting event, you can usually find me with my dog Fern or in my flower beds.” I am happy to be a part of the McNamara orthodontic team. 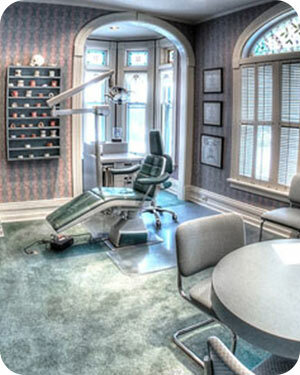 Ellen has worked in the field of orthodontics for 16 years. She took a brief hiatus from dentistry for a few years to open a family restaurant and to spend more time with her daughters, Stephanie and Samantha. Both girls were patients of McNamara Orthodontics and over the years our team got to know Ellen. “Everyone in the office was pleasant and I thought it would be a great place to work.” Little did we know that years later, Ellen would become a valuable part of our clinical team. Born and raised in Michigan, Ellen now resides in Northville with her husband Kevin. In her spare time Ellen enjoys exercise and spending time with her family. 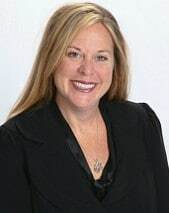 Liz was born and raised in Traverse City, Michigan, where most of her family still resides. As a graduate of the University of Michigan Dental Hygiene program, her first job out of college was with an orthodontist. While this is slightly unusual for a hygienist, it proved to be fortuitous as she has worked for a total of eight orthodontists during her career. 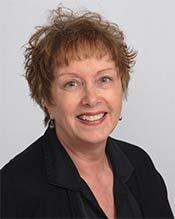 She started in our office in 1982, working chairside directly with patients. While her duties keep her primarily at the front desk, you may see her occasionally working chairside with patients or helping with sterilization or lab work. Mary worked as an Orthodontic Chairside Assistant for six years before joining our front desk staff as the Appointment Coordinator in 2000. “The people are the best part of my job”, she says. 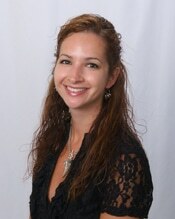 She loves greeting our patient family as if they were her own, as well as being a part of a caring professional team. In addition Mary is also the Insurance Coordinator, experienced at maneuvering through automated telephone menus and multitasking during long waits on hold. Mary knows what the patients are experiencing, as she is a former patient herself (and still wears her retainers at night!) She enjoys developing relationships with our patients and their families while they are on their journey toward straighter teeth, and looks forward to all of their warm smiles along the way. Laura grew up in Manchester Michigan. In 2014, she and her husband Seth, purchased their first home there. They love living out in the country, where they now have enough home renovation projects to keep them busy for the entirety of their mortgage. After high school, Laura attended both Washtenaw Community College and Siena Heights University, where she completed her bachelor’s degree in 2015. Not knowing exactly what career path she wanted to take, she started exploring her options. Having extensive background in customer service, and a knack for organization, she knew she would thrive with McNamara Orthodontics. 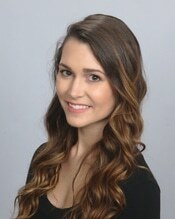 Laura also prides herself in teaching ballet and Jazz to both children and adults. She’s been teaching since 2010, and now works with two different dance studios. Dance is Laura’s creative outlet, and she finds working with children to be exceptionally rewarding. In her free time she loves taking on new projects around the house, visiting with her family, and reading any kind of book she can get her hands on. Wynona, originally from Waterford, Michigan got her B.S. in Medical Technology from Michigan State University. Following graduation, she worked in a laboratory until she started her own business which she ran for 19 years. During this time, Wynona moved to South Lyon, Michigan, where she raised her two sons, both of whom are in PhD programs. In 2000, Wynona switch careers becoming a Certified Dental Assistant. 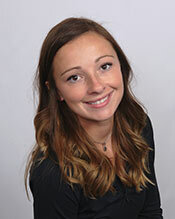 “I had the privilege of becoming an orthodontic technician and have been a CDA ever since. 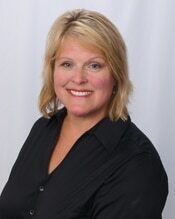 I am very excited to be part of McNamara Orthodontics and meeting new patients.” Wynona resides in South Lyon. She enjoys traveling, music, reading and education. Julia was born and raised in Adrian, Michigan. She completed a semester at Ferris State University before transferring to Jackson College. Currently, Julia is taking prerequisite classes prior to applying to the Dental Hygiene program at the University of Michigan. Julia previously worked as a dental assistant in a general dental office. She has expanded her functions to include orthodontics and absolutely loves it! In her free time, Julia enjoys being at the lake and fishing. She also loves to drive Jeeps at the Silver Lake Sand Dunes, snowmobiling, and taking long Harley rides during the summer. “Samantha grew up in Randolph, New Jersey, and moved out to Ann Arbor in 2014 to earn her undergraduate degree at the University of Michigan. She recently graduated from U-M with a Bachelor of Science degree in Biopsychology, Cognition, and Neuroscience. Samantha plans to attend dental school to further her career in dentistry. She is passionate about creating friendly and sincere interactions with patients, and she hopes to one day transform their health and smiles. 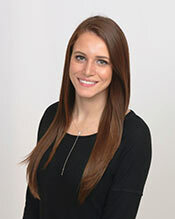 Jillian has been in dentistry since 2009 when she began working at McNamara Orthodontics. It was her first job following her dental assisting education at Washtenaw Community College. During her time here she also met her husband John while he was shadowing during dental school. In 2014, Jillian graduated from the University of Michigan with a degree in dental hygiene. Since then she has worked as a hygienist and when the opportunity to return to McNamara Orthodontics became a reality, she jumped at the chance to return to where it all began. Jillian and her husband John reside in Chelsea with their two cats, Ivy and Thor. They enjoy running, biking, and watching movies. Brittney is a native to Michigan, and grew up in Lowell. While in high school, Brittney also attended Kent Career Technical Center where she took cosmetology and culinary classes. 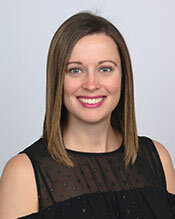 Brittney now lives in South Lyon with her husband Ronnie and three kids Ethan, Ellie, and Kaden. In 2012, Brittney graduated from the dental assisting program at Ross Medical Education Center. She worked in general dentistry for a short time before taking time off to spend with her family.